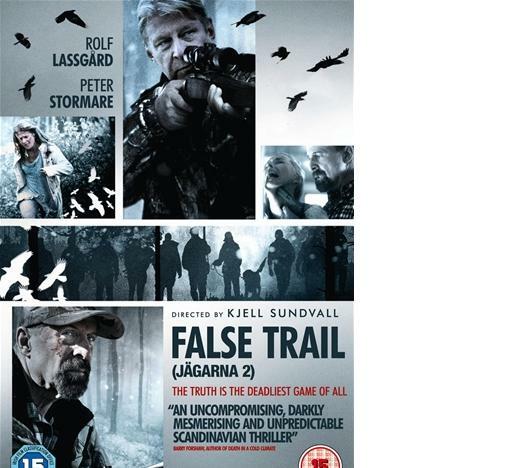 It has taken 15 years for The Hunters (Jägarna) director Kjell Sundvall and its star Rolf Lassgård to reunite for a sequel - False Trail (Jägarna 2). The film, set in Sweden's Norrland, opens with a hunt being organised. The whole of the community including the police are involved but when the car of a young woman (Elin) is found abandoned nearby with blood in it, the hunt has to be called off. 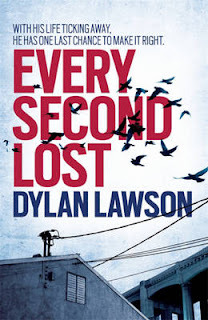 When no trace of Elin can be found, a murder investigation is begun and the local police are swift to blame first her stalker and then an oddball who has a history of violence and whose fingerprints are found on the car. 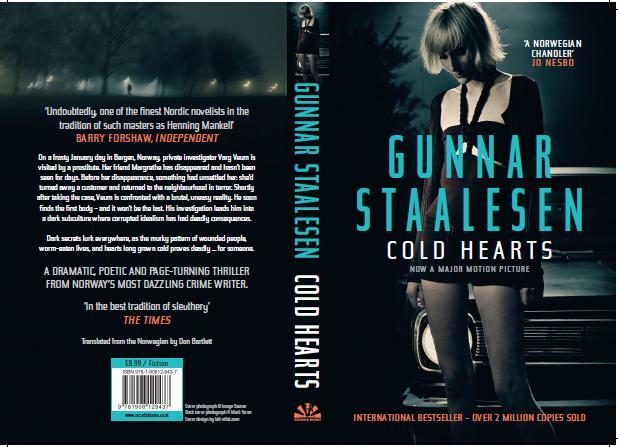 Erik Bäckström (Lassgård) is sent from Stockholm's National Murder Commission to assist in the investigation and is far from convinced that the police have the right guy and still no body has turned up. Bäckström is returning to his home territory. 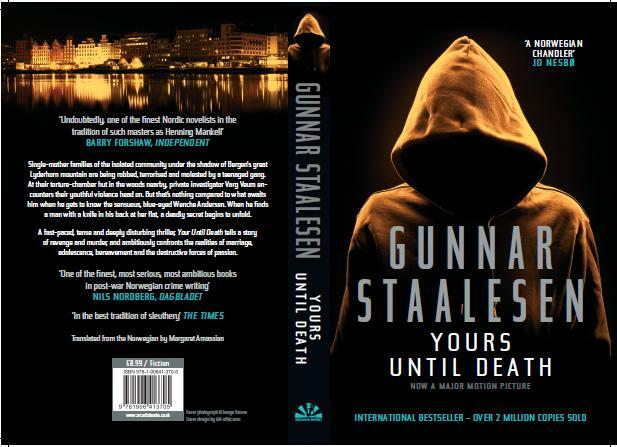 His late brother's son Peter, is the stepson of the lead investigator Torsten and as Bäckström becomes more involved with the family he becomes aware that things are not what they seem. False Trail is an absorbing thriller, reminiscent of Insomnia, in which the pace accelerates as Bäckström begins to get to the truth. He and the murderer (for a body is found eventually) have a tussle of wits with Bäckström the outsider finding it hard to be believed. For me this was a gripping watch, which held my interest throughout despite a two hour running length. 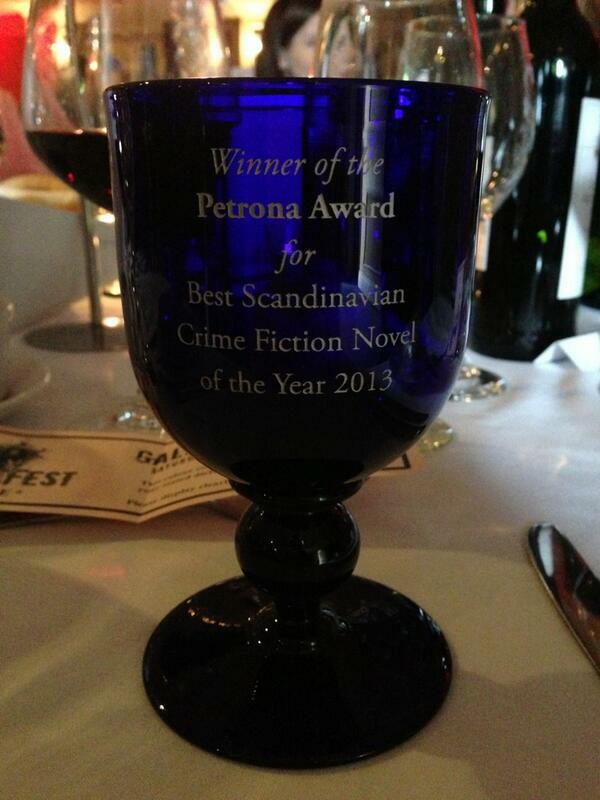 It's not so much as a whodunnit but a will they get away with it as the viewer knows more than Bäckström. My only niggle is that the final confrontation seemed slightly over the top. There is strong language and a couple of particularly unpleasant scenes one involving an animal being shot and butchered and the other the discovery of a body. There is plenty of violence and bad language along the way as well as to be expected in a crime thriller. I also enjoyed seeing the Norrland countryside - lots of trees and a lake - which makes a change from an urban setting. The DVD extra, a real bonus, is an interview between Barry Forshaw (our very own Petrona Award judge) and Rolf Lassgård. This is the first film I've seen Lassgård in, having not yet watched the Wallander and Sebastian Bergman series he's been in but every clip I've seen him in and including in this film he's always unsmiling and very serious but in this interview we get to see his charming, funny side and discover that he has played a mum in Hairspray! BAD BLOOD is the second in the 'Intercrime' series by Arne Dahl, the series which has recently been shown on BBC Four as Arne Dahl. We meet the disparate group of members of the A-Unit, a small task-force of police officers from different backgrounds, almost a year after the Power Murders which took place in THE BLINDED MAN (apa MISTERIOSO). Fortunately for Sweden but unfortunately for the team, very little has come their way in terms of new cases and it's only a matter of time before the team will be reassigned. 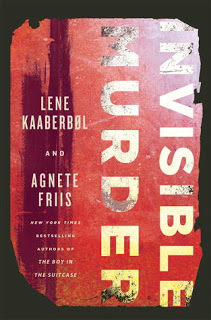 Be careful for what you wish for, as four pages later, Hjelm's boss reports that a Swedish literary critic has been tortured and murdered at Newark Airport and that the killer is a killer of several decades standing and is on his way from New York to Sweden. An operation to catch the so-called Kentucky Killer fails and Sweden has a serial killer to catch. The investigation doesn't go well. There are few leads to go on and the team is reduced to leg-work, checking on US citizens, until bodies begin to show up. Hjelm and Kerstin Holm are sent to New York to liaise with the FBI (where they become Yalm and Halm perhaps giving us English speakers an idea of the correct pronunciation). The FBI man who actually saw the Kentucky Killer die in a car crash, or so he thought, welcomes their input and as this is a Swedish crime novel it's no surprise that a Swedish brain-wave from Hjelm moves the investigation along. The remainder of the A-Unit back in Sweden have also made their own discoveries and together the Kentucky Killer could be within their grasp but there is much more going on than even the Swedish authorities realise. 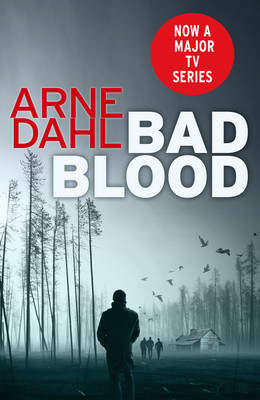 BAD BLOOD is an entertaining thriller which continues the tradition of social/political commentary in Swedish crime fiction. Leavened by humour and with a group of interesting characters, of whom we get to know more with Hjelm still getting slightly more of the focus, this is a story which remains current despite its original Swedish release date of 1998. BAD BLOOD covers a lot of ground in its modest 350 pages and leaves readers eager for the next instalment. 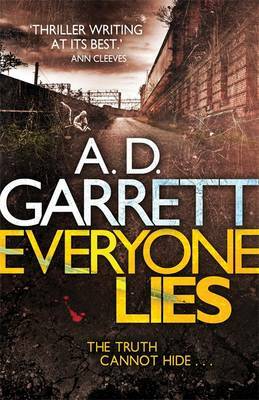 This week's set of reviews, added to Euro Crime today, is a mixture of new reviews and a catch-up of those posted directly on the blog whilst I've been away so you may have read some of them before if you're a regular :). 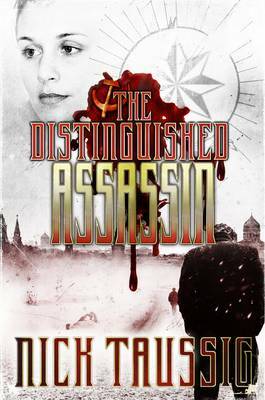 A reminder of the current competition: win The Distinguished Assassin by Nick Taussig (10 copies, UK & Ireland). and Susan also reviews this month's competition prize, The Distinguished Assassin by Nick Taussig. 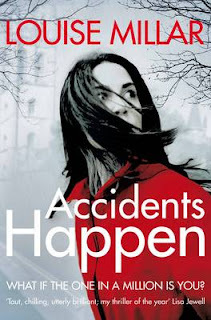 ACCIDENTS HAPPEN is a psychological thriller based around the idea that some people appear to be very unlucky, even cursed, and suffer more misfortunes than others. In this case, Kate Parker is the unlucky person, as her husband was murdered, and her parents had earlier died in a car crash on the day of her wedding. Now, Kate and her 10-year-old son Jack live together in Oxford, having left their house in London where her husband was killed, to be close to her husband’s family. Kate is trying to recover from her husband’s murder and is obsessed with keeping herself and her son safe. Kate’s obsession with risk levels, statistical chances of accidents in a variety of situations, and the like, severely limit her ability to live a normal life and worry her remaining family. This is not helped by Kate’s belief that someone is coming into her house when she and Jack are out, even eating food out of the fridge. She is so worried by this that she installs some sort of burglar proof cage to seal off the first floor of the house, preventing any burglars that might enter downstairs from accessing the bedrooms. Is she imagining things? Or is someone really able to somehow enter the house and roam about freely when she’s not there? Then she meets a man, Jago, who is apparently a visiting professor in Oxford, teaching courses about risk and even seems to have written a book about it, which Kate eagerly reads. He gradually gains Kate’s trust, and starts helping her to take risks, overcome her fears and gradually turn back into the normal, happy woman she was before life cruelly took away the people she loved. Interspersed between the story of Kate, are a few short chapters relating to an unknown boy, and his family, who live in a house where there are ‘snakes’ in the wall. Clearly something very bad happened to this boy, his house and his parents and gradually these chapters fill out the story. There has to be a connection between that story and the present day somehow, and slowly the links are revealed, with the expected dramatic conclusion. The description of Kate’s apparent paranoia, its effects on her son Jack, and her husband’s family are convincing. 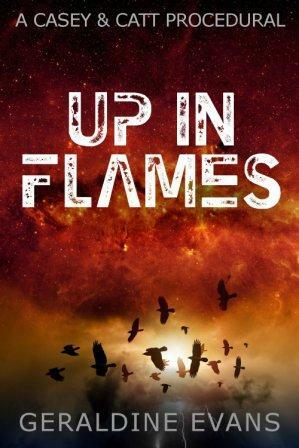 Her gradual recovery back to a ‘normal person’ through her relationship with Jago is well described and carefully lulls the reader into a false sense of security before things start to fall apart. There is a fine line between real paranoia, and a simple uncertainty that things are not quite right, and the sense that Kate is both unclear and worried about which side of the line she does in fact lie is nicely conveyed. The only slight disappointment to me was the denouement, which seemed just a little too far fetched. But that slight misgiving aside, this was an intriguing book and an absorbing read. CHAMBER MUSIC is the second outing for Tom Benn's anti-hero, hardman with a heart Henry Bane, known as Bane. This book takes place in early 1998, a couple of years after the first novel in this series, THE DOLL PRINCESS. Manchester city centre is still in the process of reconstruction following the IRA bombing, and Bane and his crooked mechanic pal Maz are now working for a different gangster boss, Abrafo. Bane is living relatively peacefully with his girlfriend Jan and her semi-delinquent teenage son Trenton in Wythenshawe, when old girlfriend Roisin re-enters his life dramatically on the eve of his father's funeral. Roisin has driven up from London with her customs officer boyfriend Dan, who has been wounded in a recent shooting and doesn't want to go to a hospital. Dan is far from forthcoming about the reasons for the shooting, and Bane doesn't trust him. But as Roisin was an old girlfriend and is sister of his close friend and associate, the violent Gordon, recently released from prison, Bane agrees to protect and assist Roisin and Dan, even though he is somewhat less than keen on Dan (whom he nicknames Knobhead). Further complications arise in Bane's professional life, due to a Yardie gangster with ambitions, Hagfish, who is keen to muscle in on Abrafo's trade. Hagfish has a pet komodo dragon to guard his valuables, and a girlfriend, Berta, who leads a rather unusual "church" of women in Hulme, and is involved with potion making. Hagfish's bid for power unleashes a trail of death and destruction and gang warfare that affects Bane and Abrafo personally. Benn employs a dual timeline in this book, shifting back in time to relate events from eight years earlier, when Bane had his brief relationship with Roisin. Benn shows how the budding romance unravelled. At that time Bane sold drugs in the Manchester clubs in the hey day of illegal raves and acid house and became involved in a violent drug war, with certain parallels to his current (1998) situation. The split time line, whilst skilfully done, can be a bit disorientating to the reader, possibly deliberately mirroring the dizzying effect of the world of recreational drugs that Bane is involved in. The characterisation of Bane in this novel makes him somewhat less likeable than in the previous novel in the series. In THE DOLL PRINCESS, there was a certain ambiguity to Bane's character, where in dealing with the police and other gangsters the reader felt that Bane's options remained open to stay in or move out of the gangster life. But this novel shows a more hardened, if slightly more domesticated side to him, with less of a chance that Bane can escape his criminal past. 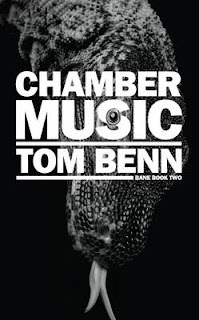 Overall this is another quality slice of noir, Manchester style, with Tom Benn as ever spot on with the slang and sense of place of '90s Manchester. It has just gone six in the evening. Another mother sits across the office desk from Inspector Avraham Avraham. This one says that her sixteen-year old son is missing, has not come home from school. Avi Avraham is working out what to pick up for dinner and what to watch on television that evening. He explains to the mother his theory on why there are no detective novels in Hebrew. It is because “we don't have crimes like that.... serial killers, kidnappings....” the explanation is always the simplest one. The woman sitting opposite him remains looking uncertain and says little. He persuades her that it is best if the boy is not reported missing yet but that she should go home and check his computer, his emails and Facebook page – see if they give any clue to his whereabouts. Someone will check in with her in the morning. She remains unsure and Avi is disconcerted to find that he has doodled a “hangman” stick-figure on his pad, dripping ink blood. He decides to leave his phone by his bed that night in case the station calls. At the missing boy's apartment block next day, a resident peers through his window at the police outside, in particular at the senior officer making a series of agitated calls on his phone. The resident takes his infant son to the shops in the stroller and sees the “Missing” posters that have gone up around the neighbourhood. They show the face of his neighbours' boy. When the police come to interview the residents in the block, including himself and his wife, he grows increasingly frustrated that they do not appear to be listening to the importance of what he is telling them – that he knows the boy, that he gave him English lessons. At some point he will tell them that their relationship was special. 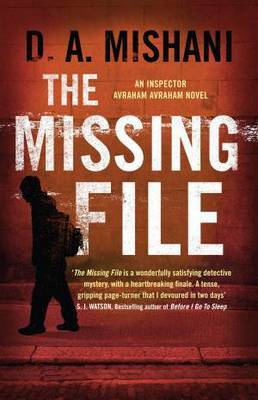 THE MISSING FILE investigates a sixteen-year old boy's disappearance from several angles, including the workday life of Avraham, and it gradually builds its resolution with a kick of surprise at the end. 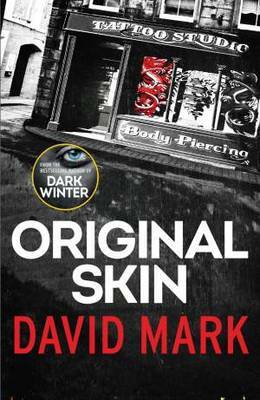 It is an original crime book with an original detective. Poor old Avraham Avraham seems to labour under such a lack of self-confidence that you suspect he will throw in the towel at any moment. I have to say that I found it hard to build rapport with the characters. Part of this distancing may be the result of reading a book in translation. But some aspects of the book puzzle me – not just the title. (I never did spot a “file” that was “missing”.) One particular plot event stands out in this context. Avraham has to spend a week on a work-exchange trip to Belgium. The Belgian police squad are up to their necks in a murder investigation which Avraham is no party to and he is left very much to his own devices. The trip interrupts his own investigation and with no apparent gain except perhaps to distance him from it and to introduce a new relationship. But what really bothers me is that the murder investigation in question is a direct transposition of a highly publicized real-life British murder case from a few years ago, with only the names and places altered. Perhaps this only has relevance for British readers but I did find it a strange and uncomfortable plot inclusion. A slow-burner with an original take on detection, THE MISSING FILE gradually builds momentum and reserves a surprise sting in its tail. 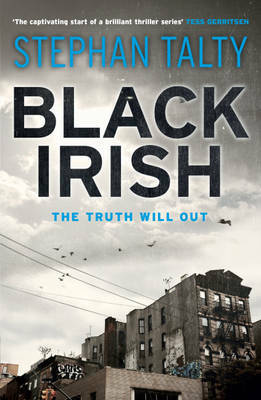 My own personal jury is “out” on this book but it has generally received a good press. Try it and see. If it is for you, there is a second book already published in Israel which should doubtless be heading our way. This competition is open to UK and Ireland residents only and will close on 30 June 2013. 1952. Stalin's Russia. Persecuted by vicious MVD agent Vladimir Primakov, betrayed by his beautiful wife and forced to the very bottom of life by the cruel system he lives under, war hero and former professor Aleksei Klebnikov is offered a mission by the notorious thief-in-law Ivan Bessonov: to assassinate six leading Communists, all of them evil men. Aleksei agrees to undertake it, this mission, after which he will finally have his revenge on Primakov, who also stole his wife. 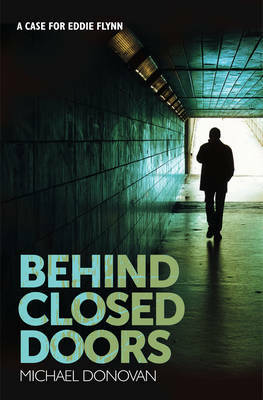 But when, with just one man left to kill, Aleksei is suddenly reunited with her, he discovers that all is not quite what it seems and that perhaps he has an even greater enemy than Primakov, his wife and the Communist system. Written in Taussig's strong, distinctive voice, and with a great moral sense, The Distinguished Assassin is a fantastic achievement by a writer who has successfully married the fictional styles of crime and historical fiction, the novel containing pace and insight in equal measure. The story Taussig tells, of a persecuted intellectual's revenge against Russian Communists, is not only a tense, thrilling and addictive tale of one man s fight against a wicked and corrupt regime, but also an intelligent, thoughtful and moving account of life in Soviet Russia. I thought these two were fairly similar. ... along with a reissue of Yours Until Death translated by Margaret Amassian. 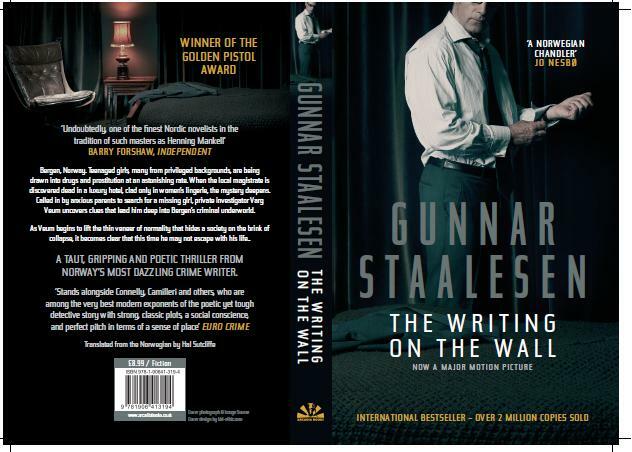 A reissue of The Writing on the Wall, translated by Hal Sutcliffe, is currently scheduled for early Autumn but this may change. A quote from Maxine's review of The Consorts of Death is on the back cover. The Author Websites page now lists 984 sites. In Bibliographies there are now bibliographies for 1898 authors (linked to 9703 titles of which 2596 are reviewed). 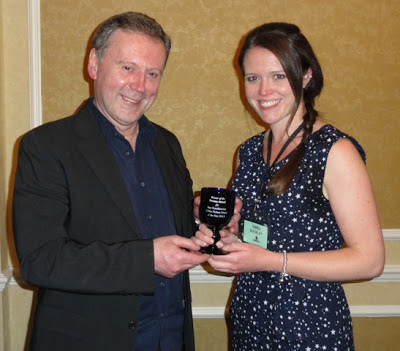 I've added new bibliographies for: Lisa Ballantyne, Nuala Casey, Lisa Cutts, Mariusz Czubaj, Kate Griffin, Gaute Heivoll, Steffen Jacobsen, Sander Jakobsen, Martin Jensen, Max Landorff, Russ Litten, Peter Murphy, Serge Quadruppani, Mark Sennen, William Shaw, Helen Smith, Vidar Sundstol, Dominique Sylvain, Nick Taussig, Dan Turrell and Marianne Wheelaghan. I've updated the bibliographies (ie added new titles) for: Jane Adams, Jo Bannister, Richard Blake, S J Bolton, Simon Brett, William Brodrick, Alison Bruce, Ken Bruen, Richard Burke, Tanya Byrne, Andrea Camilleri, Massimo Carlotto, Paul Carson, Chris Carter, Tania Carver, Lee Child, Alys Clare, Eoin Colfer, Chris Collett, Colin Cotterill, Adam Creed, A J Cross, Maurizio De Giovanni, Louise Doughty, Matthew Dunn, Patrick Easter, Sara Fraser , Friis & Kaaberbol, Robert Goddard, Alex Grecian, Susanna Gregory, Tom Grieves, Patricia Hall, Tom Harper, Veronica Heley, Peter Helton, Anna Jansson, Paul Johnston, Jim Kelly, Rob Kitchin, Lynda La Plante, Stephen Leather, Charlotte Link, Torquil MacLeod, Adrian Magson, Barry Maitland, Henning Mankell, Liza Marklund, Andrew Martin, Priscilla Masters, John McAllister, Brian McGilloway, Liam McIlvanney, Mark Mills, Thomas Mogford, Barbara Nadel, Chris Nickson, Kristina Ohlsson, S J Parris, Anne Perry, Ann Purser, Sheila Quigley, Emlyn Rees, Kate Rhodes, Michael Robotham, Jacqui Rose, Andrea Maria Schenkel, Gerald Seymour, Lloyd Shepherd, Sally Spencer, Andrew Swanston, M J Trow, Nicola Upson, Simone van der Vlugt, Valerio Varesi, Jill Paton Walsh, Laura Wilson, David Wishart and Felicity Young. If you spot any errors or omissions please do let me know. Barry Forshaw's Nordic Noir is currently 99p on UK Kindle. Barry, as well as writing a new book, Euro Noir, out in August I believe, has kindly agreed to be a judge for the 2014 Petrona Award. Euro Crime's listing of crime fiction titles by Scandinavian (Nordic) authors, available in English, can be found here, with many titles reviewed. 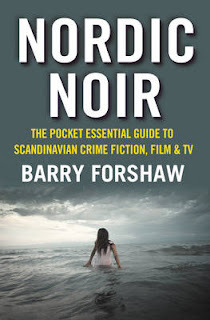 Official Blurb: Nordic Noir: The Pocket Essential Guide to Scandinavian Crime Fiction, Film and TV by Britain’s leading expert on crime fiction, Barry Forshaw, is a compact and authoritative guide to the phenomenally popular genre. The information-packed study examines and celebrates books, films and TV adaptations, from Sjöwall & Wahlöö’s highly influential Martin Beck series through Henning Mankell’s Wallander (subject of three separate TV series) to Stieg Larsson’s groundbreaking The Girl with the Dragon Tattoo, cult TV hits such as the Danish The Killing, The Bridge and the political thriller Borgen, up to the massively successful books and films of the current king of the field, Norway’s Jo Nesbo. Nordic Noir anatomises the nigh-obsessive appeal of the subject and highlights every key book, film and TV show. For both the beginner and the aficionado, this is a hugely informative, highly accessible guide (and shopping list) for an essential crime genre. Aleksei Klebnikov is a happily married man with a beautiful daughter, Katya, who is a talented ballet dancer. Aleksei is a lecturer in history and although against everything the regime stands for, tries to lead a quiet life under the radar. After several weeks of being followed, Aleksei is pulled in for questioning by Vladimir Primakov, who lusts after Natalie, Aleksei's wife. Aleksei is accused of being a traitor to Russia and sentenced to 25 years in the harshest prison, where political prisoners are treated worse than the professional criminals. list includes Primakov, who Aleksei now learns is playing happy families with Natalie and Katya. Aleksei starts killing the men on the list, finding it difficult at first, but justifying his actions with the details of their crimes. Then he meets Natalie again and suddenly his recent decisions are not clear as they were. The book is set in Stalinist Russia and I found it very difficult to read. The violence, poverty and the terror of ordinary people in this era are very graphically portrayed. I cannot say I enjoyed it, but felt that I learnt a bit of the history while reading it and felt compelled to finish it. The ending was a surprise as well. Recommended as an interesting read.